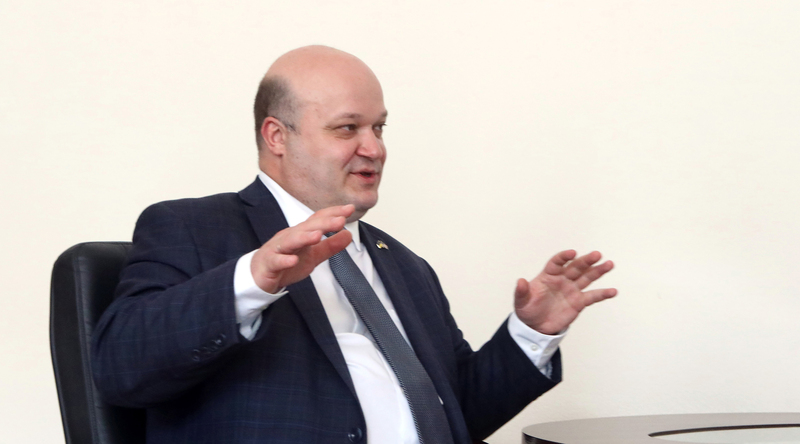 Ukraine and the United States are launching an updated mechanism for deep interaction, which formally received the status of the Strategic Partnership Commission, however, unlike previous formats, it will have wider opportunities. The first meeting of the commission will be held in Washington on November 16 under the chairmanship of Foreign Minister Pavlo Klimkin and U.S. Secretary of State Mike Pompeo. The main areas of work include the response to Russian aggression, energy security, economics, legal and humanitarian issues. 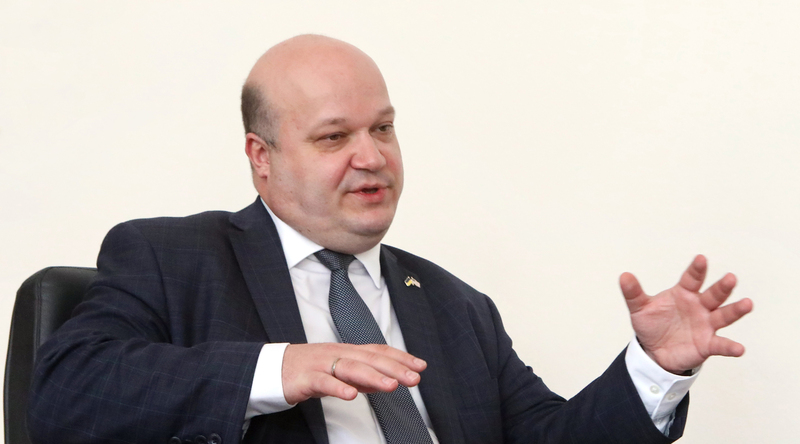 Ukrainian Ambassador to the United States Valeriy Chaly said in an interview with Ukrinform why this is so important to Ukraine now and what results should be expected from the new format. Question: An "inaugural meeting" of the Strategic Partnership Commission will take place on Friday. President Poroshenko said in Paris that this format was initiated almost ten years ago. Obviously, the issue concerns the implementation of the U.S.-Ukraine Charter on Strategic Partnership signed in 2008? Why do they need it right now? Answer: The meeting of the Strategic Partnership Commission, scheduled for November 16, is an updated format. 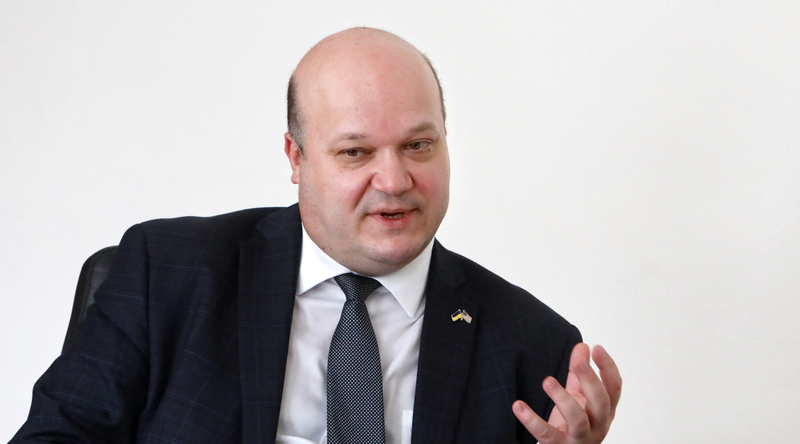 It is being implemented as a practical platform for the implementation of a bilateral document - the U.S.-Ukraine Charter on Strategic Partnership. In fact, the first meeting [after the signing of the charter] of the Ukraine-U.S. Commission was held in 2009. At the same time, no such meetings were held after 2014. As ambassador, I considered it wrong, because such an institutional mechanism as the commission helps create work plans, set out specific tasks, and engage relevant agencies in their fulfillment. This is a pragmatic, concrete, effective mechanism for deepening interaction and strategic partnership. So, why are we talking about a "new" format now? That's because until now bilateral work was conducted at the level of working groups, and the embassy worked on the holding of separate meetings of all groups - from consultations in the military sphere to cyber security issues. Now all these and other developments and results will be combined at a commission meeting, and concrete cooperation plans will be worked out. We are talking about three key areas - security and counteraction to Russian aggression, the rule of law and humanitarian issues, as well as economics and energy. That is, we currently building such a mechanism so that it could be permanent and effective rather than just a one-off event. The commission will now be the main mechanism for practical cooperation between Ukraine and the United States, and it will complement the work of other bilateral entities, including the Trade and Investment Council and the Strategic Energy Dialogue, which was recently launched in Kyiv by the President of Ukraine and the U.S. Secretary of Energy. Q: How often is it planned to hold such meetings? A: This will be determined in a joint statement after the first meeting of the Strategic Partnership Commission [on November 16]. I can already say that it would be logical to hold the next meeting in Ukraine, and I expect that it will be regular meetings held twice a year. Once in the format of the co-chairs of the groups - foreign policy chiefs - and once in the working format. Q: What will be done between these meetings? A: A secretariat is usually established in Ukraine to ensure the work of a commission. This is not common in the United States. However, we all understand that the main burden between the meetings will be placed on Ukraine's Embassy in Washington and the U.S. Embassy in Ukraine. Q: Why is it important for Ukraine to start or restart a similar format of interaction? A: There are two reasons. First and foremost, it is a powerful signal that we are absolutely clear about reaching the level of strategic partnership. Back in 2008, when the charter was signed, in my opinion, we did not have such a level of relations. Now I can say that at least in the area of security and defense we do have a strategic partnership with the United States, and we will develop it, first and foremost, in the energy sector. In particular, in the joint fight against the construction of gas pipelines bypassing Ukraine, as well as in the alternative supply of fuel, including nuclear fuel, to Ukraine. These are concrete things that bring our relations to a really strategic level. I hope that this will also concern economic projects in the future. Today it is a signal that we, in fact, are moving to a very pragmatic, concrete relationship, particularly in the implementation of the stated political goals. Secondly, for me, as ambassador, the work of the commission is a very positive factor since it will be clearly defined who in the government is responsible for a specific area of interaction with the United States. The delegation, which is now coming to Washington, represents virtually all concerned ministries and agencies at a high level. Accordingly, plans will be approved after a commission meeting and they will be implemented in all involved agencies. I'm sure this will increase the efficiency of work in the American direction. This is especially important in the election period next year when Ukraine will see political battles, and the new composition of the Congress will work in the United States after the current elections. Therefore, it is very important to have a working mechanism that would constantly function regardless of political changes. This is the main idea, and I am grateful that it is supported by the American side. Q: Since you mentioned the elections, Washington has not yet spoken about the upcoming voting in Ukraine. Based on your experience of communication with American officials, what position does the U.S. administration have now regarding electoral processes in our country? A: This question should be addressed to representatives of the U.S. administration. I could have not commented, but I'll just tell about my observations. In my opinion, the U.S. government will continue to interact with political representatives who will be supported by the Ukrainian people. Everything is very simple. The only thing I would like to add is that today's level of mutual relations between the two countries - both at the top political level, these are meetings between presidents, and at a high level, these are meetings between the heads of foreign ministries and interaction at the level of embassies - should develop rather than decrease. Of course, I would like to see consistency in Ukraine's foreign policy and the unchanged foreign policy course and its pace. I think the United States would also welcome interaction with politicians who will continue the chosen course of reforms and the chosen geopolitical course – for rapprochement with Euro-Atlantic and European institutions. It is clear. Obviously, there will be no direct support [for candidates or parties] from the United States, but, of course, there will be the readiness to cooperate with those who will maintain this course. Q: Speaking about the work of the commission, as well as the U.S.-Ukraine Charter on Strategic Partnership, the charter contains a clause reaffirming security guarantees enshrined in the trilateral statement of the presidents of the United States, Russia and Ukraine dated 1994, as well as the Budapest Memorandum. Will this emphasis be preserved in the work of the commission, taking into account Russian aggression and Russia's attempted annexation of Crimea? A: I want to specify that the clause on the Strategic Partnership Commission is not set out in the charter. On the one hand, these are mechanisms not connected directly with each other. However, we will obviously insist that both the charter, as a basic document of bilateral interaction, and a reference to important elements mentioned in it be reflected in future documents, first of all, in the joint statement to be issued after the meeting of the commission. After we agree on the joint statement, and today we have a draft that needs to be approved by the parties, you will see that there will be key elements of the Charter on Strategic Partnership. Q: You said that the commission would also consider security issues. Does it foresee the discussion of further military support to Ukraine, including the provision of lethal weapons? A: The group that will work on security and counteraction to Russian aggression is expected to discuss military-technical cooperation. In addition, it is planned to discuss cyber threats, and representatives of concerned agencies from both parties will also be present there. Therefore, it is obvious that this will be discussed at the talks, while specific decisions are made both within consultations on military-technical cooperation and at the political level. I can only mention one thing that we are opening up new opportunities for military-technical cooperation. We are working now to ensure that changes to Ukrainian legislation could help conduct direct procurement of military weapons and hardware without intermediaries. And these changes can open up new opportunities for our interaction with the United States. But this involves a two-way road. Therefore, today the White House and other concerned U.S. agencies hold the view that the more arms Ukraine procures from the United States, the more direct free aid it will receive. So these are related processes, and I think it is advisable for us to go that way. There are types of weapons that we really need, but we do not produce them ourselves, they are made in the United States. We are just working on this issue. Every such agreement and arrangement involves a preparatory period, so I think you will see the result next year. After the United States provided Ukraine with anti-tank weapons and high-speed boats, we think about further issues, and we not only think, but also interact very pragmatically with the American side. Q: You said that a joint statement will be signed after the first meeting on Friday. What kind of document will it be, with what content? A: It will be the main document after the meeting. Its draft, which we have now, contains political assessments and mutual commitments. There will be general questions regarding our interaction, elements of the response to the actual development of events, in particular, related to Russian aggression, the detention of Ukrainian hostages. The draft statement is quite strong, and, I think, all this will be reflected in the final wording. It is unlikely that you will find something new there, but this political document systematizes all the current positions in our strategic partnership. The work on the statement continues, and it will continue until the last moment of the commission's work. Q: The current U.S. administration actively supports Ukraine, which is in the face of Russian aggression. We see this in statements from the Department of State and U.S. Special Representative for Ukraine Negotiations Kurt Volker, as well as the introduction of additional sanctions against Russia. How consistent will U.S. support for Ukraine be in the future? A: I have no doubt that support will continue in the existing areas. This is a policy of sanctions against Russian aggression, military-technical cooperation, as well as assistance in the political context and in reforms. The question is how intensive this cooperation will be. And here a lot depends on Ukraine itself, to what extent we are ready to accept such assistance. Many aspects, including the inflow of U.S. investments, the implementation of economic projects, depend on the willingness of the Ukrainian side to develop this cooperation with the United States. We have quite a good result of the agreements reached between Presidents Petro Poroshenko and Donald Trump in the economic, energy, and military-technical spheres. I think that at least such dynamics and intensity will continue. I will tell you one thing, which I am not advertising here in America. Ukraine has now increased exports to the United States. The trade balance between the two countries has currently shifted to our favor. Exports from Ukraine to the United States have increased much faster than imports from the United States to Ukraine. The past year showed progress. We increased trade by 1.6 times, and then the opportunities are very great. I believe that now we do not use our potential not even by half but by a third. Therefore, our task is to create conditions for deepening this cooperation, which is impossible without a constant dialogue at all levels. Now the intensity of the arrival of U.S. expert groups in Ukraine, which assess the possibilities of interaction, has increased by several times. Ukraine has become one of the areas of constant travel by such advanced groups from the U.S. this year, and the dynamics will only grow next year. It can also be seen from official visits. We see that there is not only communication at the level of presidents but also at the level of ministers. Take, for example, the recent successful trip by U.S. Energy Secretary Rick Perry. Such intensity of interaction should be maintained further and, if possible, strengthened. The embassy is ready for this.